A great start was key for the Huskers to have any shot of competing against Ohio State. Falling behind and relying on fourth quarter magic was not going to cut it. That’s why Tommy Armstrong Jr.’s pick six on the Huskers’ first drive was the play of the game. Three plays into the game, the Huskers faced a third-and-3. They had ran for gains of 3 and 4 on the first two downs. But on third down, Danny Langsdorf dialed up a pass. Nebraska lined up with a bunch right, Stanley Morgan Jr. left and Terrell Newby in the backfield. At the snap, the Huskers ran a mesh route on the bunch side. Morgan ran a slant while Newby ran out into the left flat. However, Armstrong apparently had decided he was going to Morgan, who came up with some big catches down the stretch at Wisconsin last week. However, the corner was step-for-step with him and Raekwon McMillan ran underneath, creating an incredibly tight window for Armstrong throw into. Newby had a chance out of the flat to pick up the first down if he could have gotten past the defender who was at the line of scrimmage and about 3 yards closer to the middle of the field. Perhaps if Armstrong had waited another second (there wasn’t much pressure when he let the ball go) another receiver could have created more separation. But regardless, Armstrong locked in on Morgan and gave the standout sophomore a chance to make a tough play. Morgan couldn’t make the grab, and even worse, the ball bounced straight up into the air. Safety Damon Webb ran under it for the interception and made a bee-line for the end zone. Two Huskers got picked off and Webb made Armstrong miss inside the 5-yard line before crossing the plane for a score. Just like that, the Huskers found themselves down 7-0 96 seconds into the game. The game couldn’t have gotten off to a worse start. The offense did respond with a nice 72-yard drive, but they failed to punch it in from 3 yards out and had to settle for a field goal. That four-point deficit would be as close as the Huskers would be the rest of the night. They might have been played hard, but digging themselves a hole with a pick six on the first drive if the game put them in a bad spot both mentally and on the scoreboard, and they never climbed out of that hole. That play also foreshadowed what was to come, as the Huskers passing game never got off the ground and finished 9-of-33 with two interceptions between Nebraska’s two quarterbacks. 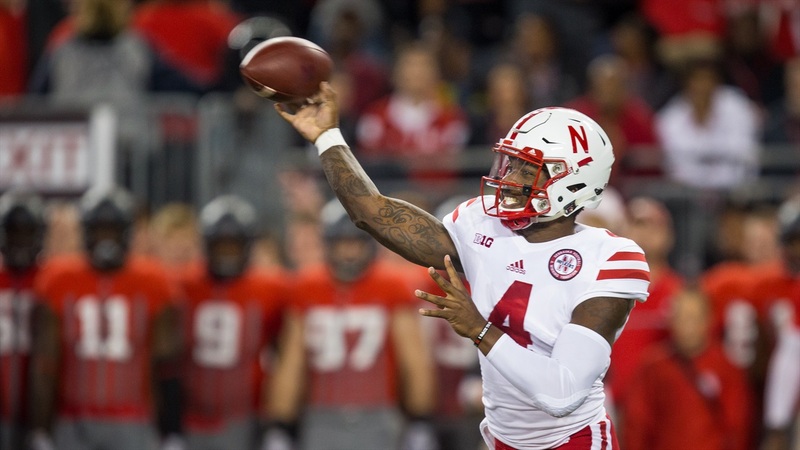 That’s why Tommy Armstrong Jr.’s pick six on the first drive is this week’s play of the game.